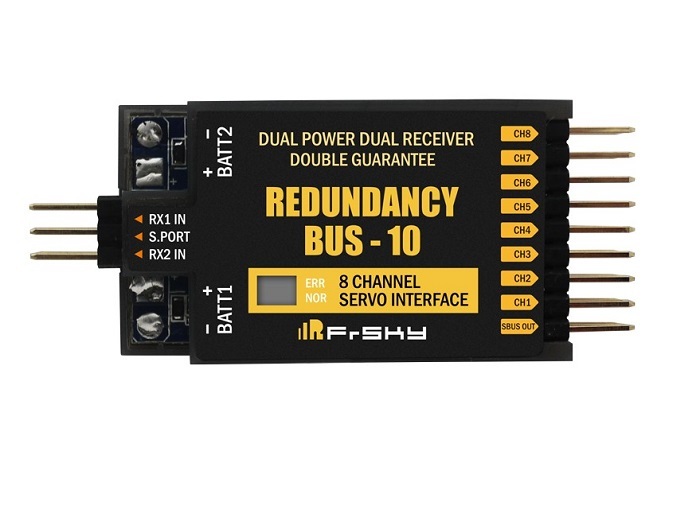 Frsky have developed redundancy fuctions into a new smaller unit easier to house in your model, its unique switchboard module will operate 2 receivers and 2 batteries to provide you with total peace of mind when flying your model. 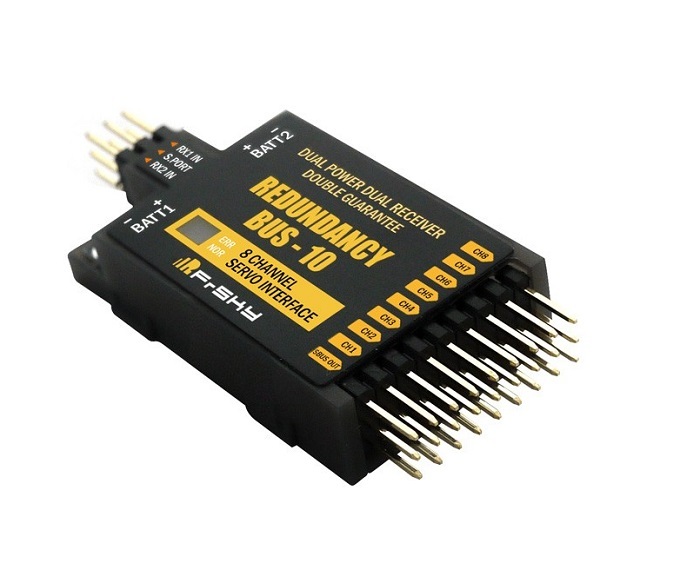 You can also run your servos from the switchboard with complete protection from high voltage overload. 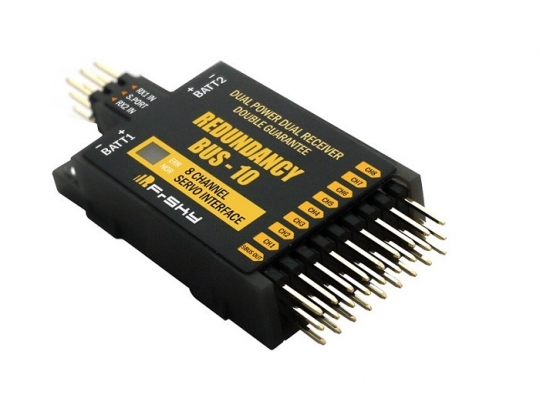 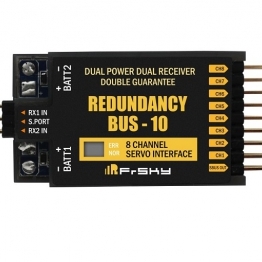 The Redundancy Bus also supports Smart Port telemetry for your Taranis/Horus and will provide telemetry feedback for voltage and overload indication.